With the deal announced January 31st shortly to close that will see One Equity Partners, a private equity firm with deep expertise in media and telecom investment, set to become the majority owner of Ericsson Media Solutions, and with broadcast technology trade fair IBC a couple of months away, Ericsson Media Solutions has revealed a new identity for the business – MediaKind. Designed to embody the concept that media should inspire and unite humankind, company executives suggest that MediaKind draws on Ericsson’s 150-year heritage of bringing communities together through pioneering fixed and mobile communications and unites a number of media technology pioneers under one common identity. “It addresses a new age where media is the fabric of society, captivating audiences, changing perceptions and bringing us together,” they say. MediaKind’s mission is to lead the future of global media technology and be the first choice for service providers, operators, content owners and broadcasters looking to create and deliver immersive media experiences for everyone, everywhere. “We understand the power of media and how it is evolving,” commented Angel Ruiz, CEO, MediaKind. “It runs in our DNA and it’s our passion. With our pioneering heritage and strong foundations fuelled by deep innovation, we have a single goal in mind: to enable our customers to create and deliver immersive media experiences. He suggested the business was “uniquely positioned” to help shape and lead the future of global media technology, and that its technologies, established industry heritage and forward-thinking experts equip organisations with the end-to-end technology solutions needed to embrace media of all kinds. The rebranded unit combines the strength, power and heritage of media technology players such as Aspex, Azuki Systems, Envivio, Fabrix, HyCGroup, Microsoft Mediaroom and TANDBERG Television, acquired in recent years by Ericsson’s erstwhile parent and still 49 per cent owner. 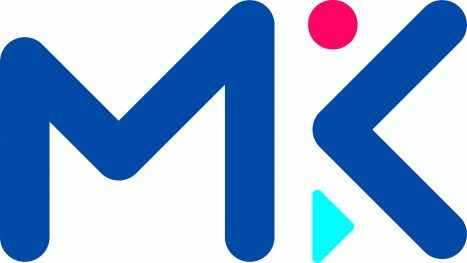 Launching the new brand identity, executives confirmed that MediaKind will continue its deep investment into its product portfolio as part of its commitment to helping its customers differentiate and address the shifting media marketplace. Angel Ruiz, Chief Executive Officer, MediaKind, noted that the unit’s media involvement was currently heavily entertainment based, he envisaged this increasingly encompassing such area as security and safety in the future, with machine learning and AI playing a growing role.